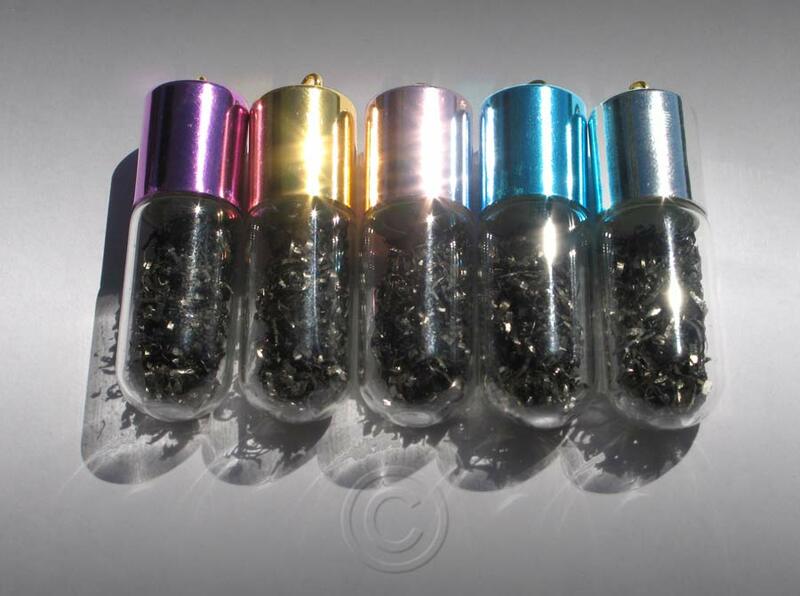 STAR DUST METEORITE DUST VIALS METEOR DUST PENDANTS FOR SALE ONLY $25.00! 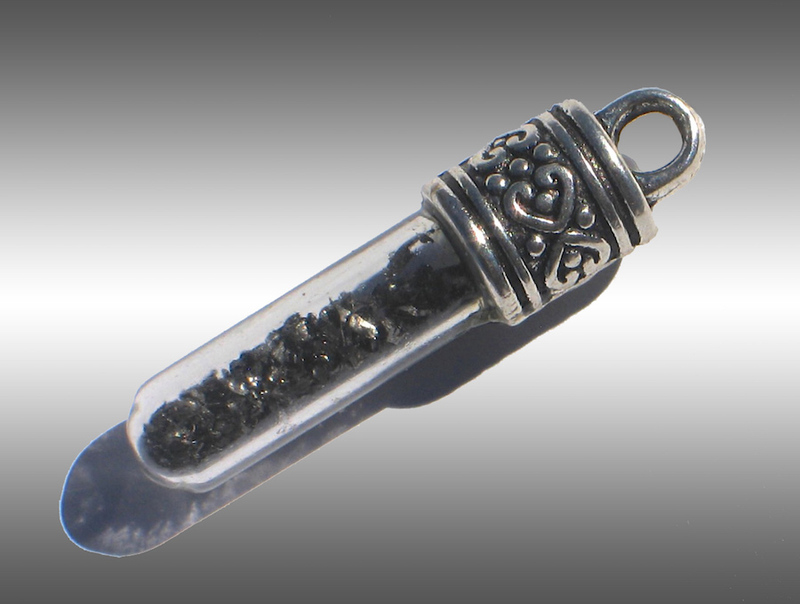 Authentic Meteorite Dust Vial Pendant for ONLY $25.00 per Vial! Welcome to Arizona Skies Meteorites®, the premier online resource for the finest in rare collectibles. We are professional meteorite, fossil and rare collectible dealers. On our website you will find a wonderful selection of high quality meteorites, fossils and unique collectibles from around the world. In addition to our extensive selection of meteorites, we have museum quality dinosaur fossils for sale, as well as high quality Megalodon shark teeth, Wooly Mammoth tusks and fossils. We offer fine art, antique Japanese Samurai swords, Katanas and Wakizashi as well as rare WWII Military and Warbird Collectibles. We also offer the finest meteorite rings, meteorite jewelry, wedding bands, and Damascus steel rings available. Here we offer a rare opportunity to own actual Star Dust (Meteorite dust) which have a bail at the top so that they can be used as a pendant or necklace. The primary elements of this Star dust was formed billions of years ago in the core of an ancient Star. The rarer elements in this Star dust were born billions of years ago in a massive Super Nova explosion and billions of years later they all became incorporated into the core of a differentiated proto-planet. During the early formation of our Solar System this proto-planet was destroyed by a catastophic, astroid producing impact event. Eventually after eons of space travel, one of these asteroids fell to Earth as a meteorite. Our meteorite dust vials are Guaranteed to come from an approximately 4.5 billion year old meteorite and come with a Certificate of Authenticity. They make fantastic educational Gifts, stocking stuffers or even out-of-this-world Christmas ornaments! Meteorite Dust Vial A: Stock Photo showing Arizona Skies Meteorites authentic meteorite dust vials. Approximate dimensions of vials are 1.75" x 0.5" diameter. Each vial has a loop at the top. VERY LIMITED SUPPLY! Meteorite Dust Vial B: Stock Photo showing Arizona Skies Meteorites authentic meteorite dust vial. Approximate dimensions of vials are 0.9" x 0.39" diameter. Each vial has a loop at the top. Meteorite Dust Vial C: Stock Photo showing Arizona Skies Meteorites® authentic meteorite dust vial. 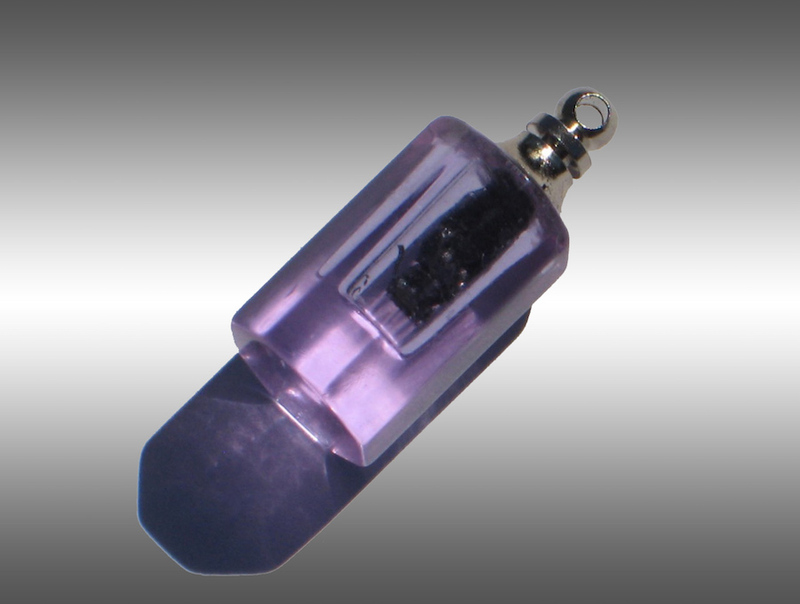 Approximate dimensions of vials are 1.5" x 0.29" diameter. Each vial has a loop at the top and the top is permanently affixed. Our meteorite dust vials come with Certificates of Authenticity and are priced at ONLY $25.00 plus shipping per vial or get a multi-vial discount for the price shown below plus shipping!!! SALE! BUY TWO GET ONE FREE! For special projects requiring larger quantities of meteorite dust please enquire for wholesale pricing!